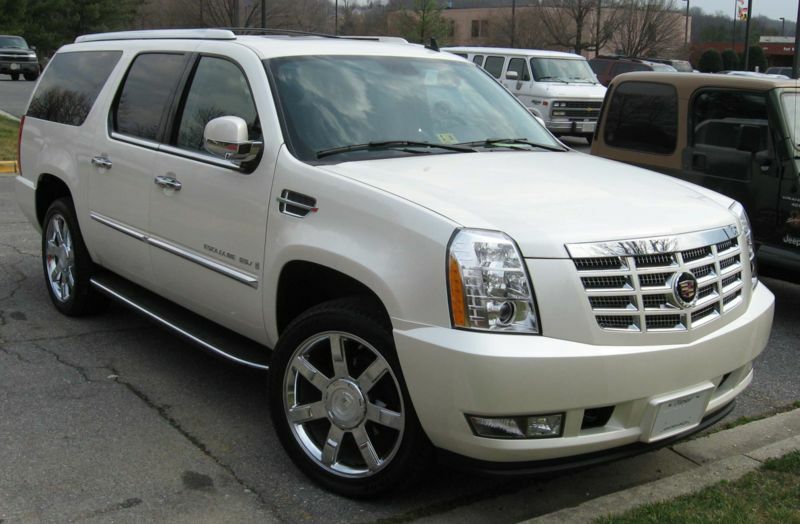 The luxury trim level of Cadillac Escalade ESV adds 22 inch wheels, power second-row seat, more advanced Magnetic Ride Control suspension, heated steering wheel, automatic high beams, sunroof and blind-spot warning system. The Premium model comes with rear-seat DVD entertainment system with pull-down screens for the second and third rows and power-retractable assist steps, while the platinum edition consists of 22-inch wheels, second-row 60/40-split bench seat, LED headlamps, DVD screens for second-row passenger, upgraded full leather trim, heated and cooled cupholders and unique wood and aluminum accents. All models are motivated by 6.2 liter V8 engine which is good for churning out 417 pound feet of torque and 403 horsepower. It is equipped with six-speed automatic transmission with either rear wheel drive system or four-wheel drive system. The ESV goes from 0 to 60 mph in the time range of 7 seconds which is very fast for a sport utility vehicle. The estimated fuel economy is 18mpg highway, 14mpg city and 16mpg in combined driving. The maximum towing capacity is 8000 pounds which is an average as compared to other SUVs in the market. You are currently browsing the archives for the Cadillac category.